Note that the official address is 3600 University Street but the main door is on the campus side of the building, not the University Street side. Please register to attend this FIM4R Workshop, co-located with the 10th plenary meeting of RDA (the Research Data Alliance). 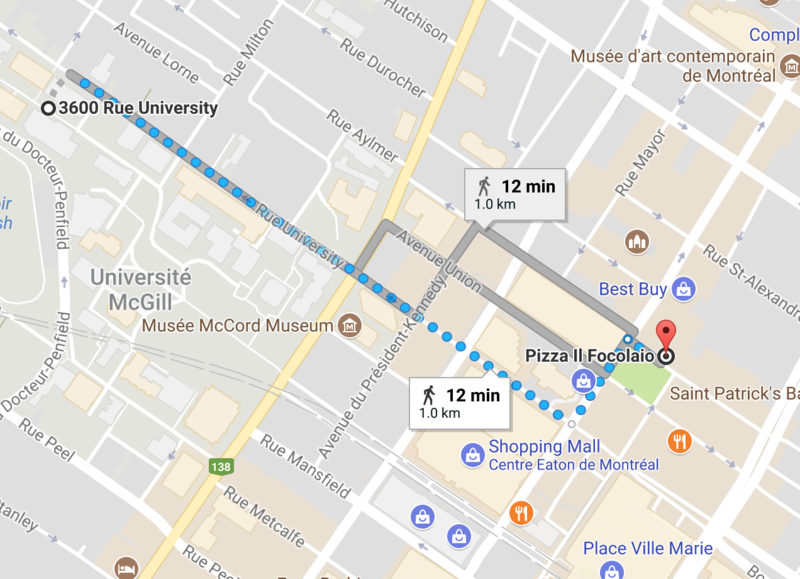 The Physics Department of McGill University has very kindly agreed to host the meeting; McGill is located very near to the RDA meeting location in Montreal, Canada. The room that has been allocated is 103 in the Rutherford Physics Building . The room is also known as the R.E. Bell Seminar Room. Registration for RDA is open at https://www.rd-alliance.org/plenaries/rda-tenth-plenary-meeting-montreal-canada. There is a session of the "RDA IG Federated Identity Management" group at RDA on Wednesday 20th September at 13:30. Please join us at Il Focolaio at 19:00 (unfortunately at your own expense!). the eighth at CERN on 3-4th February 2015 (https://indico.cern.ch/event/358127). the ninth at EWTI on 30th November 2015 (https://indico.cern.ch/event/450600/). This 11th workshop will continue work towards a version 2 of the FIM4R paper. An update of ELIXIR status on AAI and development and dates access models with our use case focuses, and an introduction to the Global Alliance for Genomics in Health approach to registered access to data by bona fide researchers in genomics. A discussion session to explore how Research Communities could provide more, and faster, feedback to various working groups committees and the like that are seeking to evolve federation infrastructure, policy and processes. Includes a presence from CACTI. Survey objectives and lessons learnt from trial runs.